The Taniwha is called 'Homage to the Guardians'. This this is an offer of respect to the local guardians that protect and influence the waterways and surrounding environment. Everything is interconnected. When we understand that nothing exists independently, we gain a deeper appreciation of nature and our connection to the rest of the universe. 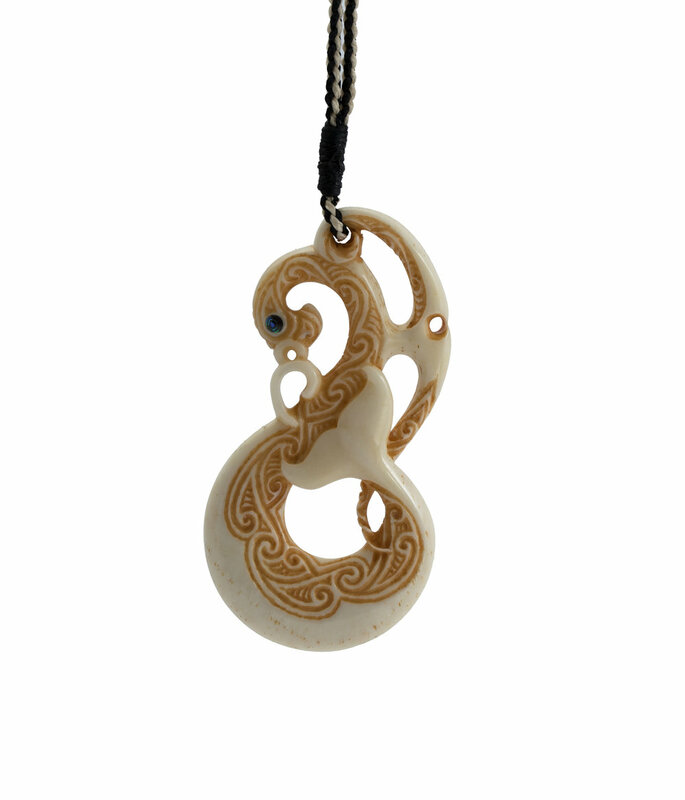 The Koru on this carving depict the various ocean and river currents. This is symbolic of following different paths and their corresponding fortunes. Because everything is interconnected, whatever we do will affect others.